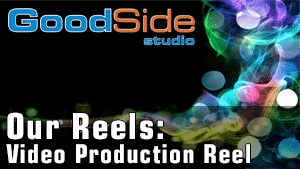 Seattle Video Production Company, GoodSide Studio presents Best Practices for Training Video – using instructional design concepts to produce effective onboarding videos, training videos, and corporate human resources videos. As a training tool, video can help your organization save money by reducing travel costs, be more efficient and profitable with skills training, function more smoothly as a result of onboarding and culture building content and reduce injuries with safety training. At GoodSide Studio, we spent the last decade and a half producing videos to help organizations as big as Dell, Amazon and Precor use the power of video to accomplish all of these goals. We’ve also helped a lot of nonprofits and small businesses do exactly the same thing. In this video, we’ll start with a brief discussion of instructional design and then we’ll drill down on each of the steps as they apply to video based training. Instructional design models are guidelines that help your organization develop instructional material. There are several models, but let’s focus on the most common one called ADDIE. There are five steps in this model; analyze the problem, design the structure, and write the material, develop, which in the case of video means shooting and editing, implement by delivering to the audience, and lastly, evaluate the effectiveness of the training and try to identify some do-betters. Stephen Covey taught us to begin with the end in mind. Before you can develop effective training tools, it’s essential to define your audience, the message, and your desired outcome or behavior change. What is your audience currently doing or not doing that you’d like to change? For instance, maybe they’re not wearing their safety goggles. First, ask yourself, how ready are they to make change? Everyone starts at the pre-contemplation phase. At this phase, they may not be aware of the problem and they’re certainly not ready to take action. If most of our audience is in this phase, you probably have to start by simply raising awareness of the problem. This should help them move to the next phase, which is contemplation. They’re aware of the problem and a potential solution, but they’re still not quite ready to make the leap into action. In this case, your video should address potential barriers. Barriers include self efficacy. Do I have the skills to make the change? Social norms will people around me except the change? Perceived susceptibility. Am I really at risk? Perceived efficacy? Will this solution work? And barriers to access. Will I be given the tools that I need to succeed? Let’s take the safety goggles example. Your audience probably doesn’t question their ability to use the goggles, but they might think their coworkers will laugh at them, especially if they don’t think there’s a real risk. Maybe they think the goggles won’t even work in this environment and maybe they worry that they’re not going to get access to them. Once you’ve addressed their barriers, your audience will be ready to take action. The action phase requires a different approach. They don’t need to be sold on the idea anymore. They just need the how to information, but a note of caution jumping to this phase, if you haven’t addressed their barriers, is not a good path to success. 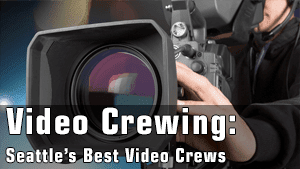 Now that you know your audience and the desired outcome, it’s time to connect with your video production. Company will work with you to craft your message into an effective program, but you’re still the subject matter expert. We will always work with you as a partner on your team. In preproduction we make a plan to turn your script or outline into an effective video. We’ll work out locations and all the logistics involved in delivering the professional results that you expect. Shoots range from a single camera to a full sound stage with a truck full of lights and a big crew. The plan we made back in preproduction will help us bring the right tools and personnel to your shoot, but never a bloated budget. After the shoot, we’ll edit a rough cut and send it to you in a private link for you to review. If it’s a pretty simple video, this version might be spot on and we’ll move straight to delivery, but in most cases there’s a little back and forth to get it right. We’ll upload your video to a private link and you simply download it. It’ll be ready for upload to the video sharing platform or training tool of your choice, or you can even show it on a full size movie screen. After your training video has been out in the wild for a little while. You may want to come back and reevaluate it. Sometimes it can be improved with a small change, like if a section needs to be rearranged or if the wording on a graphic isn’t ideal, it’s often a pretty simple and inexpensive thing to make minor alterations. Whether you’re ready to start your project tomorrow or you just want to talk about how video might work for you, give us a call or send us an email. We’re always happy to talk about video.